The purpose of the accreditation by NBA is to promote and recognize excellence in technical education in colleges and universities—at both the undergraduate and post graduate levels. Accreditation is market-driven and has an international focus. It assesses the characteristics of an Institution and its programmes against a set of criteria established by National Board of Accreditation. 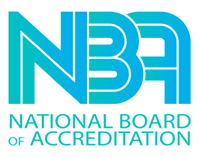 Institutions, students, employers and the public at large all benefit from the external verification of quality provided through NBA accreditation process. Students studying in NBA accredited Institutions can be assured that they will receive education which is a balance between high academic quality and professional relevance and that the needs of the corporate world are well integrated into programmes, activities and processes. It signifies that he has entered the portals of an Institution, which has the essential and desirable features of quality professional education. 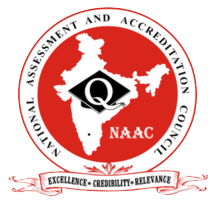 NAAC (National Assessment & Accreditation Council) Accreditation to Education System at Global Institutes. Global Institutes- Amritsar, GIMET has been accredited by National Assessment and Accreditation Council, for a period of 5 years in November 2016. Identification of internal areas of planning and resource allocation.